Paris' most original restaurant ! Enjoy an outstanding experience where you can simultaneously discover Paris' most gorgeous monuments together with French gastronomy. 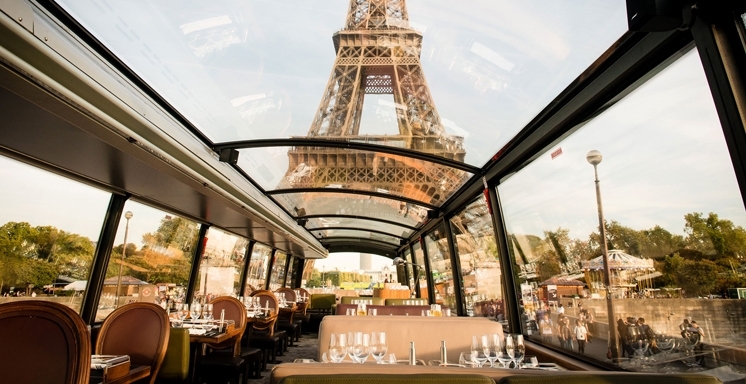 Try this original restaurant located in a high class double-decker bus which features a huge panoramic glass roof ! 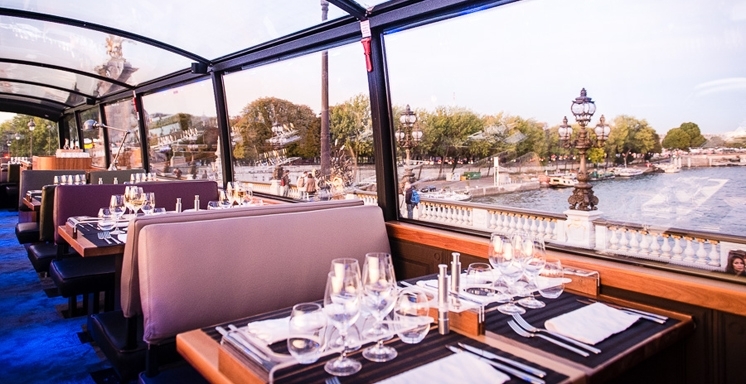 From this outstanding settings passengers can admire the most beautiful views over Paris while savouring the best of gastronomic cuisine. 1 glass of Champagne, 1 glass of white wine, 1 glass of red wine, 50 cl of mineral sparkling or plain water, 1 tea or coffee. Wheelchair access: access can be difficult because the restaurant is upstairs and the chair must stay down. The toilets are also on the lower level. However, assistance may be requested to go upstairs. For any cancellation made more than one week before the day of your reservation, the price of the activity will be refunded.